Explore the Luang Prabang countryside with visits to beautiful waterfalls and ethnic minority villages. 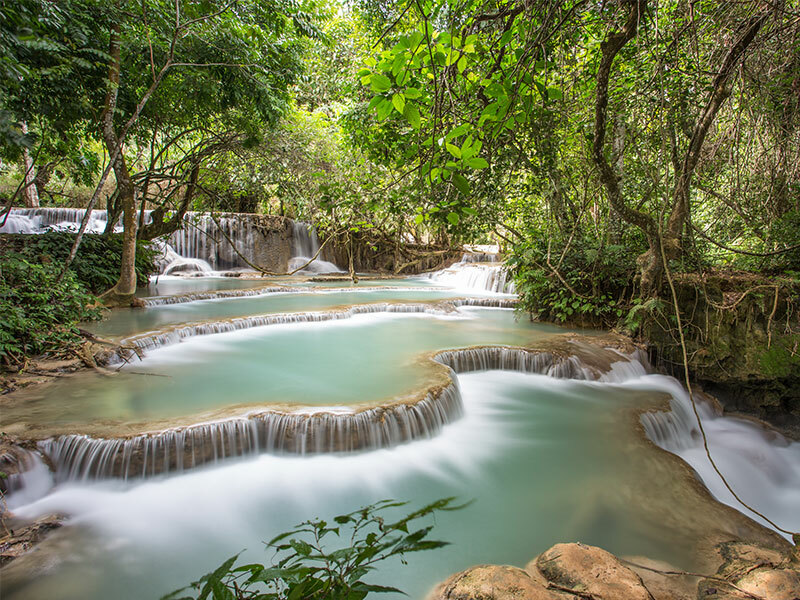 Gain valuable insight in to the unique cultures and traditions of Laos’ hilltribe people, swim in the turquoise waters of Kuang Si waterfalls, and enjoy a delicious picnic lunch in the tranquil surroundings. This day out is a perfect way to experience rural Laos. -	Visit the Traditional Arts & Ethnology centre for insight in to the countries various ethnic groups and traditional crafts. 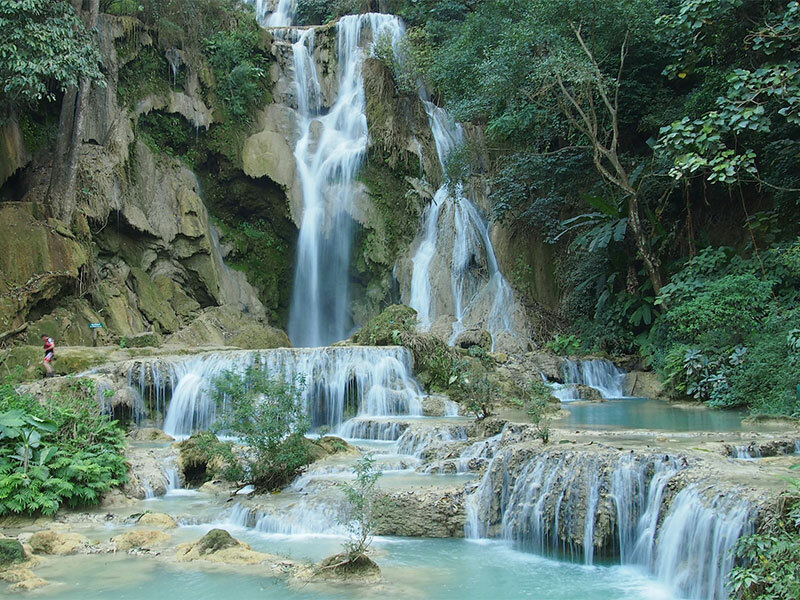 -	Visit Kuang Si waterfall is the biggest in the Luang Prabang area. -	Visit the bear sanctuary which is next to the falls to read about their habits and observe their playful nature. -	Stop at the Kuang Si Butterfly Park to visit the beautiful garden filled of hundreds of Laos’s butterflies. This morning your guide will pick you up from hotel at 09:00 am. You start with a visit to the Traditional Arts & Ethnology Centre for insight in to the countries various ethnic groups and traditional crafts. 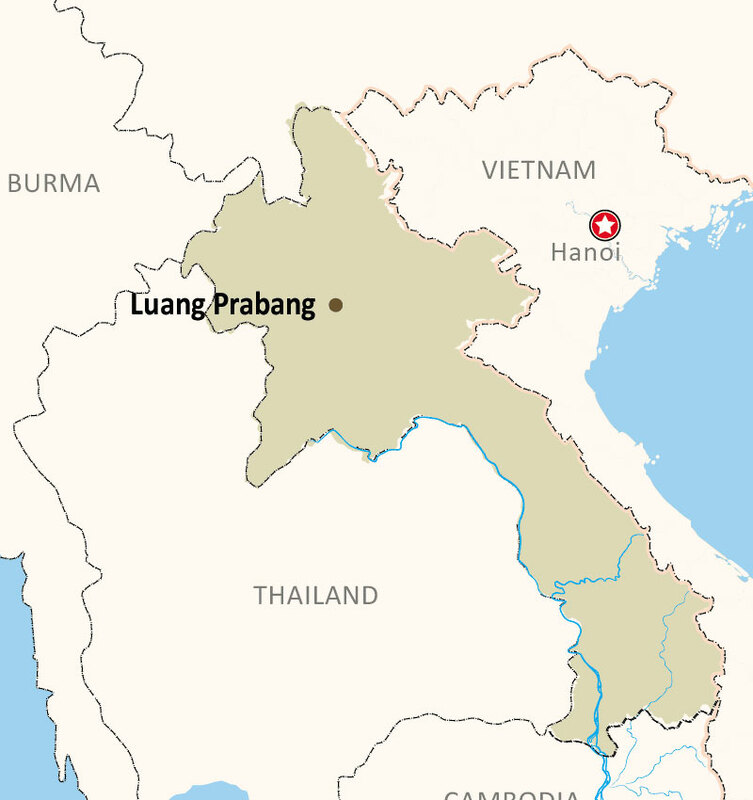 Your tour will provide you with information into the wonders of Laos, enhancing your understanding of this little-known country and its people (Note: closed on Monday). 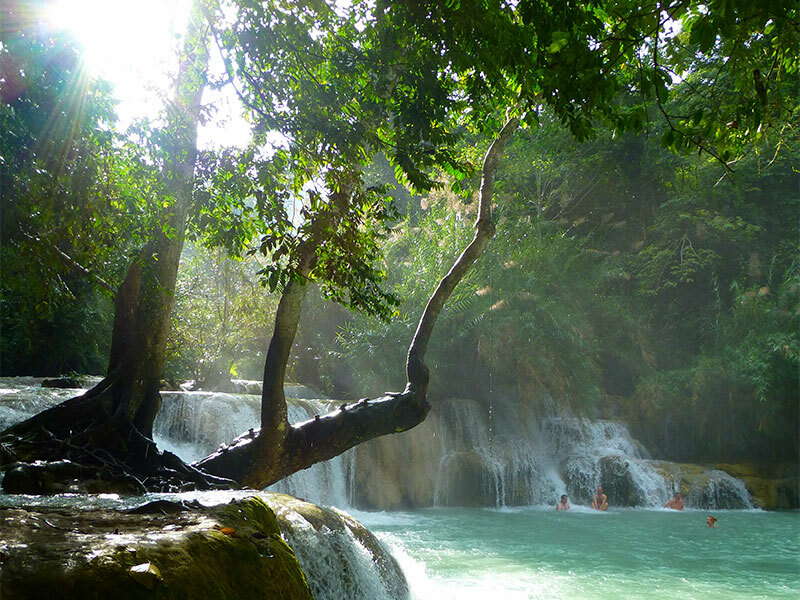 Take a short transfer through Luang Prabang countryside to Kuang Si waterfalls (32km southwest of the city). Along the way, you will drive through beautiful landscapes of rice fields, hills, and small villages. There are also view points overlooking the Mekong river. 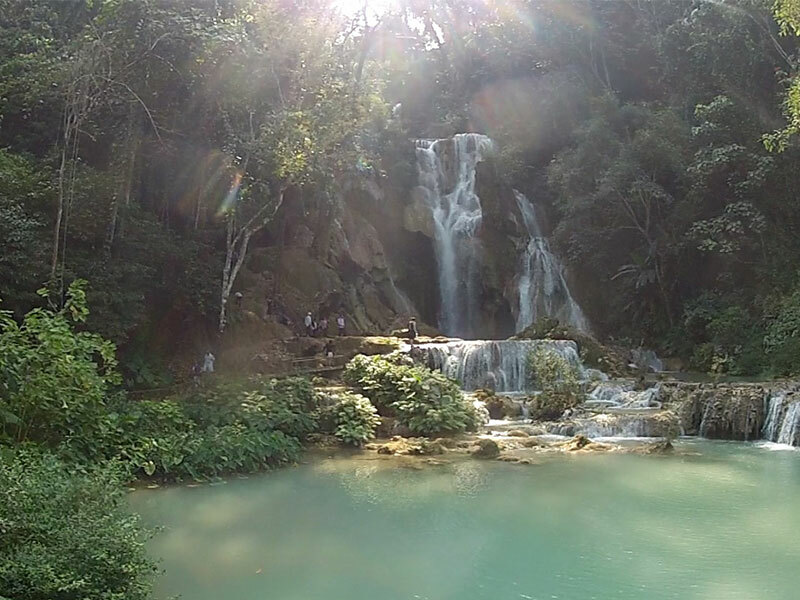 Upon reaching Kuang Si waterfall, relax and enjoy the beautiful natural surroundings. The water tumbles down a large drop and cascades gently into several cool, clear pools where you can enjoy a refreshing swim (please dress modestly). Enjoy a delicious picnic lunch next to the falls. For the adventurous, it is possible to walk to the top of the falls via a steep track where stunning views await you at the top. You might also like to visit the bear sanctuary which is next to the falls, run by Free The Bears Fund Inc. There are currently 23 Asiatic Black Bears living in the sanctuary, which has saved them from poaching. The main threat to these bears is poaching due to the use of their bile in Chinese medicine. You can read about their habits and observe their playful nature, whilst learning about the difficulties they are facing. Transfer back to your hotel this afternoon.